There are more people than ever before who are fascinated by the characteristics of social networks. It is now much more common to see a university research study focus on Internet social networks, rather than just interpersonal social networks, when analyzing what makes a social network succeed or fail. The best way to understand what makes social networks unique from other websites is by taking a look at what academic studies have found regarding those sites. 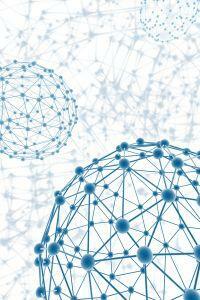 What Is Social Network Theory? A 2007 research study conducted by researchers from Rice University, the University of Maryland, and Max Planck Institute for Software Systems analyzed what characteristics of very large online social networks made them so successful. The research included Orkut, YouTube, MySpace, LinkedIn, and LiveJournal. The study makes an important point, that while web pages are based on content, online social networks are based on users. The conclusion of the study is also fascinating, because the researchers found that the most trustworthy "nodes," or members, of the network are those users who established the largest number of "friends" within the online network, establishing themselves as close to the "core" of that social network as possible. This means that the closer to the core of a social network that you are, the faster you're able to propagate information out to a wider segment of the network. This is exactly the kind of opportunity that most marketers look for. What these observations imply is that there are five basic characteristics that differentiate a social network from a regular website. Those characteristics are as follows. User-based: Before social networks like Facebook or MySpace became the norm, websites were based on content that was updated by one user and read by Internet visitors. The flow of information was in a single direction, and the direction of future updates was determined by the webmaster, or writer. Online social networks, on the other hand, are built and directed by users themselves. Without the users, the network would be an empty space filled with empty forums, applications, and chat rooms. Users populate the network with conversations and content. The direction of that content is determined by anyone who takes part in the discussion. This is what make social networks so much more exciting and dynamic for Internet users. Interactive: Another characteristic of modern social networks is the fact that they are so interactive. This means that a social network is not just a collection of chatrooms and forums anymore. Websites like Facebook are filled with network-based gaming applications, where you can play poker together or challenge a friend to a chess tournament. These social networks are quickly becoming a pastime that more people are choosing over television - because it's more than just entertainment, it's a way to connect and have fun with friends. Community-driven: Social networks are built and thrive from community concepts. This means that just like communities or social groups around the world are founded on the fact that members hold common beliefs or hobbies, social networks are based on the same principle. Within most modern online social networks today, you'll find sub-communities of people who share commonalities, such as alumni of a particular high school, or an animal welfare group. Not only can you discover new friends within these interest based communities, but you can also reconnect with old friends that you lost contact with many years ago. Relationships: Unlike the websites of the past, social networks thrive on relationships. The more relationships that you have within the network, the more established you are toward the center of that network. Like the concept most pyramid schemes are focused on, within online social networks, the concept really works in a powerful way. When you have just 20 contacts and you publish a note or an update on that page, that content proliferates out across a network of contacts and sub-contacts that's much larger than you may realize. Emotion over content: Another unique characteristic of social networks is the emotional factor. While websites of the past were focused primarily on providing information to a visitor, the social network actually provides users with emotional security and a sense that no matter what happens, their friends are within easy reach. Whether suffering through divorce, break-up or any other family crisis, people are finding that the ability to jump online and communicate directly with a circle of friends provides a great deal of support in an otherwise unmanageable situation. Given the rapid growth and popularity of social networks in the coming years, it doesn't appear that the concept is going to go away. The evolution of the Internet is now forming itself around the characteristics of social networks. Bloggers and website developers are using tools like RSS feeds, Digg or Technorati to communicate and interact with other bloggers. Through blog comments and tagging, websites and blogs are also integrating into what experts now call Web 2.0. The entire Internet itself is fast becoming a giant, interactive and powerful social network.